Nissy Cobb is a powerful sprinter with a firecracker personality who brings speed and track experience to the CT Nor’Easters. 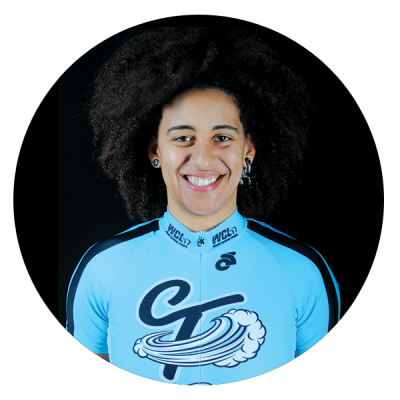 A Portland Oregon native, Nissy has traveled the world and stamped her name on the American track scene with a volatile sprint that is set to shake up the World Cycling League and intimidate her competitors. Nissy is not afraid to go the distance with a blistering 500 meter kick that will bolster the arsenal of her dangerous Connecticut team.